If there is one thing I love when it comes to meals, its a 1 pot, under an hour, hearty meal that everyone in my family will like. 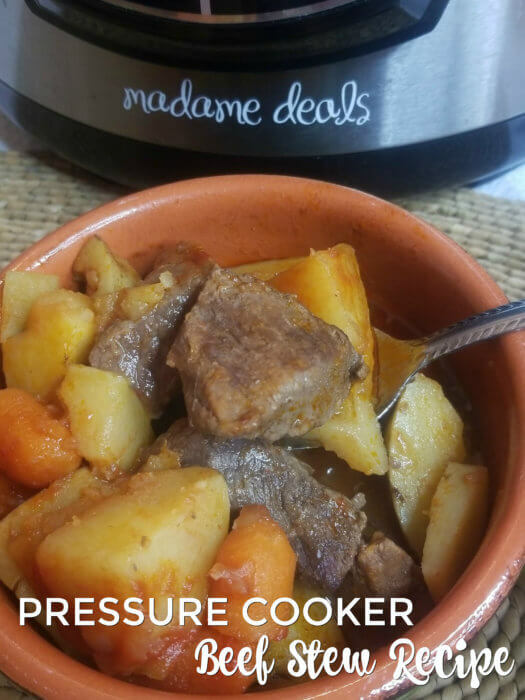 That’s exactly what I’m bringing you today with my Hearty Beef Stew instant pot recipe. I love using my instant pot on busy weekdays. It’s easy to use, it’s fast, and it makes clean up a breeze. I hope you enjoy this recipe as much as my family did! 1. First, turn your Instant Pot onto the “Saute” setting and add your oil and stew meat. 2. Saute until the meat is no longer pink and then add in your chopped vegetables. Stir to combine. 3. Add in your broth and seasonings. 4. Stir again, then place the lid on your Instant Pot and press the “Stew/Meat” setting button. 5. The setting should automatically set for 35 minutes on high pressure, but if it doesn’t, adjust accordingly. 6. Make sure your steam valve is closed and let it cook until done. 7. Complete a quick release of the pressure. 8. Laddle out 1/4 of your liquid and combine it with your flour to create a slurry. 9. Add your slurry back into your stew and stir to combine. Add in your salt and pepper to taste and enjoy while hot! 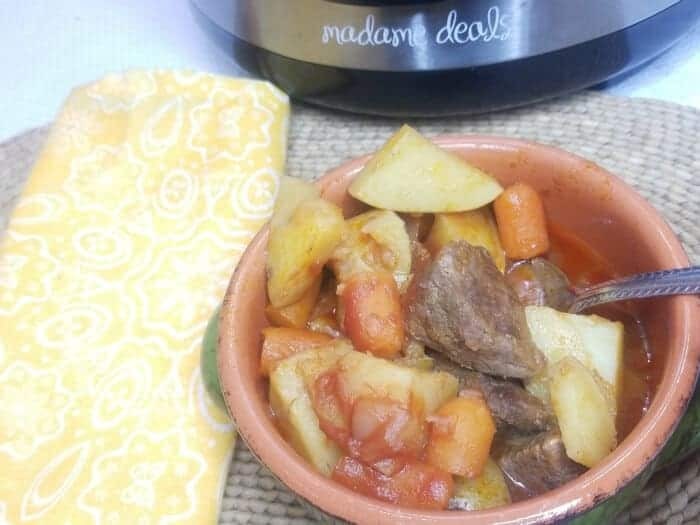 A hearty beef stew recipe that's super easy to make in the instant pot. First, turn your Instant Pot onto the “Saute” setting and add your oil and stew meat. Saute until the meat is no longer pink and then add in your chopped vegetables. Stir to combine. Add in your broth and seasonings. Stir again, then place the lid on your Instant Pot and press the“Stew/Meat” setting button. The setting should automatically set for 35 minutes on high pressure, but if it doesn’t, adjust accordingly. Make sure your steam valve is closed and let it cook until done. Complete a quick release of the pressure. Laddle out ¼ of your liquid and combine it with your flour to create a slurry. Add your slurry back into your stew and stir to combine. Add in your salt and pepper to taste and enjoy while hot!